When you've been diagnosed with Parkinson's disease, you'll need to find the right care team. Ideally, you'll want a team of clinicians who will manage your medical care over the course of the next few years. This team should be headed by a neurologist with expertise in treating Parkinson's patients. While you can always change members of the team, putting some amount of thought and planning into assembling the initial team will pay dividends for you down the road if that team can rapidly and effectively address your early symptoms and needs. The following suggestions will help you to assemble the care team that is best for you, and will also provide some ideas on how best to interact with your care team. A primary care physician who looks after your day-to-day medical needs. This may be someone who you have seen for many years and knows you well, or you may need to find a primary care physician. A neurologist who specializes in movement disorders. 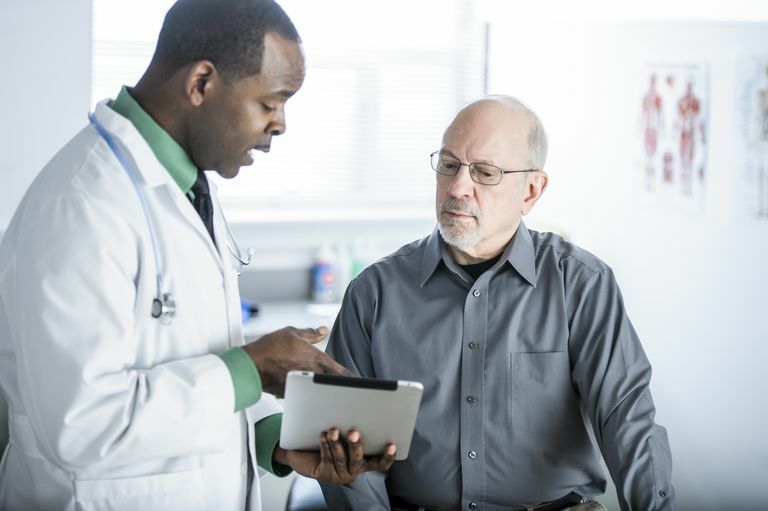 This is most important as a neurologist in movement disorders will likely be able to help you find others who are experienced in Parkinson's disease to fill out your health care team. Allied health professionals like physical therapists, occupational therapists, sleep medicine specialists and so forth. Your neurologist should be able to help you find the allied health professionals right for you. Yourself - Part of being an empowered patient is playing an active role in your care. Your partner - Parkinson's disease can have a tremendous impact on relationships, and including your partner or other family members can be very helpful in managing the disease. All of these people will, of course, need to communicate (at least to some extent) with one another, but the key figure for management of your Parkinson's symptoms will be your neurologist. So how do you find a neurologist who is right for you? Don't overlook your own role as a very important member of your healthcare team, as well as that of your family. Your first task is to find a neurologist who specializes in movement disorders (like Parkinson’s). You need someone who can tell you what to anticipate and who can put you in touch with the best resources and treatment options available. This neurologist will know when to start medications and when to adjust the dosages of those medications to achieve maximum benefit and so forth. So how do you find such a specialist? First, ask your primary care doctor for a referral to a Parkinson's specialist. Your primary care doctor will certainly be able to point you in the right direction. You can also find a local support group for Parkinson's patients and ask those individuals for recommendations on specialists. You can get information on local support groups as well as local specialists from the local or regional chapters of a national Parkinson's disease organization. If you can't find a support group in your community, check out the online support communities for people with Parkinson's disease who live in your area. You may even be able to get an idea of a neurologist who would meld well with your own personality by asking questions and hearing others talk about their experiences. How long have you worked in the field? How many Parkinson's patients do you see a year? Do you have special training in movement disorders? Are you board certified in neurology? Who do I see when you are not available? What hospital do you use for treating patients? It's important to understand that the online rating systems for doctors are not very accurate. Or they are, in some ways, and it is not the information you are looking for. For example, many of these ratings rank a doctor high if he is always on time and never backed up. If you think about the clinic setting and the inability to really control what happens in a typical day, and the doctor who is always time may be the doctor who never has that extra minute to give you when you need it. These ratings also often include how easy it is to get an appointment. Of course, the doctor who is exceptional that everyone wants to see ranks poor on this measure, and the doctor who doesn't have a strong following ranks high. If you do look at these rankings, make sure to read the comments, and realize that one bad comment could simply represent one patient having a bad day after being given a diagnosis he didn't want. Besides these basic questions, the most important way to choose the neurologist you will work with is by listening to the treatment plan she puts together for you. Does it make sense? Does your doctor discuss it with you after considering your personal needs, goals, and symptoms? Does she mention that the treatment plan needs to be flexible and be re-evaluated over time? Does she try to integrate the plan into your everyday life and needs? You need to use your common sense when choosing a Parkinson's disease neurologist/specialist. You cannot doctor yourself. You need to trust at some point that this highly trained specialist knows what he or she is doing. If you are considering changing to a new neurologist or new primary care physician it can be frightening to transfer over your care. How will your new providers know what has happened to you thus far? Some people request that their old neurologist or primary care doctor call their new physician. At times this can be helpful, though there is something to be said for having a new doctor take a fresh look at your history and come up with a fresh and new plan. One way or another, it's important for your new physicians to have a copy of your medical records. Check out these other tips on making a smooth transition between doctors. Once you have chosen members of your care team how can you best interact with them? You and your team want the same thing: They want to give you the best possible care they can and you want to receive the best care available. Why then do so many persons with PD not get the best possible care available? One reason is that communication between patient and care team breaks down. Once you are in the doctor’s office be prepared with any questions you might have. Don’t just say your fine when the doctor asks you how you are? Give some details about symptoms. What they feel like, when do they occur, when are they relieved, and so on. Take someone with you to your appointments with the neurologist so that he or she can remember what you miss. Never leave an appointment without a clear idea of what comes next. Do you need to take a medication? If so how much of it and when? What are the possible side effects of that medicine? Will you be able to drive normally? Do you need to see another specialist or have more tests? What are the tests and what is involved with each test? How quickly will results be available? Don't forget that medication errors are all too common. You should learn a few ideas to reduce the chance of a medication error. When you go to see an allied health professional like a physical therapist or speech therapist you should ask for clear explanations of the treatment you will undergo. What is it? What is it designed to do? How will I know that it is working? What is the cost and will this be covered by my insurance? When will I see the results of the treatment if it works? What are the alternatives to this treatment plan? It's important to be an active partner in your care. Try to resist adopting the role of a passive patient who just follows the orders of the doctors. Ask questions. But ask them in a cordial way in order to learn. Ask questions so that you can maximize the benefits of any treatment you undergo. Try also to avoid the opposite danger of asking too many questions and of taking over the role of doctor yourself. You will have to learn to accept the care of others. Let them do their job. Learn from them. Partner with them. If you can establish this kind of partnership with your care team you and your family will find it easier to cope with the all the challenges that PD will throw at you over the years. G. Garie and M.J Church (2007). Living well with Parkinsons Disease: What your doctor doesn't tell you that you need to know. HarperCollins: New York, NY. Willis, A., Schootman, M., Evanoff, B. et al. Neurologist Care in Parkinson Disease. Neurology. 2011. 77(9):851-857.